Russian President Vladimir Putin says a demilitarized zone to separate Syrian forces and rebels in the Idlib region will be established by Oct. 15. Russian and Turkish troops are to enforce a new demilitarized zone in Idlib from which radical rebels will be required to withdraw, Russian President Vladimir Putin said on Monday after a meeting with his Turkish counterpart. 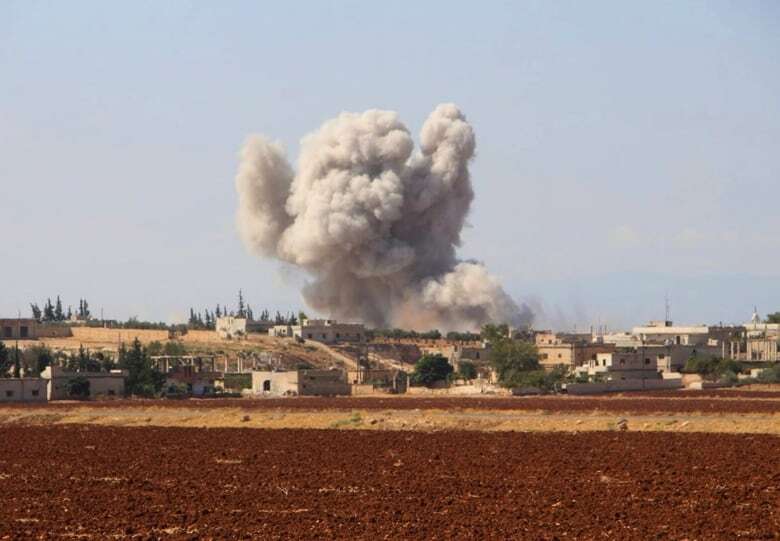 Russia, the biggest outside backer of Syrian President Bashar al-Assad in his fight against rebels, has been preparing for an offensive on Idlib, a city that is controlled by rebels and is home to about three million people. But after Putin's talks in Sochi with Turkish President Tayyip Erdogan, who has opposed a military operation on the rebels in Idlib, Russian Defence Minister Sergei Shoigu was quoted as saying by Interfax new agency there would not now be an offensive. Putin told a joint news conference with Erdogan the agreement was that all heavy weapons be withdrawn from the buffer zone, and that what he called radically minded rebels, including the Nusra Front, would have to pull out of the zone. For his part, Erdogan said, "I believe that with this agreement we prevented a humanitarian crisis in Idlib." The demilitarized zone will come into force by Oct. 15, Putin told reporters at his residence in Russia's Black Sea resort of Sochi. The zone, he said, would be between 15 and 25 kilometres wide and would be patrolled by mobile units of Turkish and Russian troops. It was not immediately clear if the demilitarized zone incorporated the city of Idlib itself; if it did, that would require that some of the rebels pull out of the city. Asked whether Assad agreed with the Putin-Erdogan plan, Shoigu told reporters in Sochi that "in the coming hours, we will agree with them on all the positions put forth in this document." Ahead of the trip to Russia, Erdogan had said Turkey's calls for a ceasefire in Idlib region were bearing fruit after days of relative calm but that more work needed to be done. 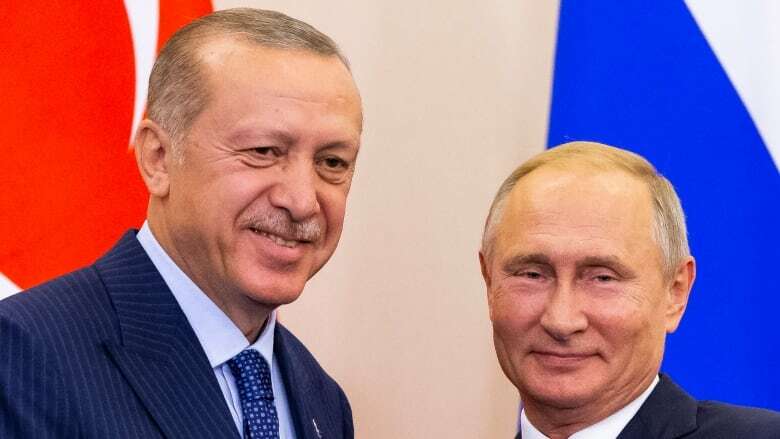 Putin this month publicly rebuffed a proposal from Erdogan for a ceasefire there when the two met along with Iran's president for a three-way summit in Tehran. Syria's ambassador to the United Nations in Geneva, speaking earlier on Monday, said the Assad government was determined to drive the Nusra Front, which he described as a terrorist organization, from Idlib. "Our government wants to give priority to reconciliation and to give all necessary measures in order to ensure safe corridors, and to secure the lives of civilians and to provide the basic needs of civilians in cooperation with UN humanitarian agencies," Ambassador Hussam Edin Aala told the UN Human Rights Council in Geneva. There are an estimated 60,000 rebel fighters in Idlib and its surrounding areas.